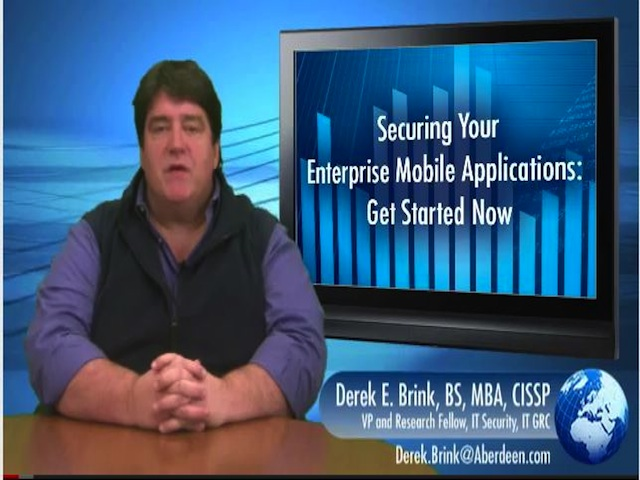 The third installment of the “Securing Your Applications” Web Seminar Series by Derek Brink, covers Mobile Applications. Security concerns and the execution of strategy are among the key concerns for organizations’ tasked with securing mobile applications. This video delves into the details surrounding these issues and presents relevant research to help you better understand the risks associated with mobile security and its potential impact on your organization.